Photos by Chris Harris, no reproduction without permission. 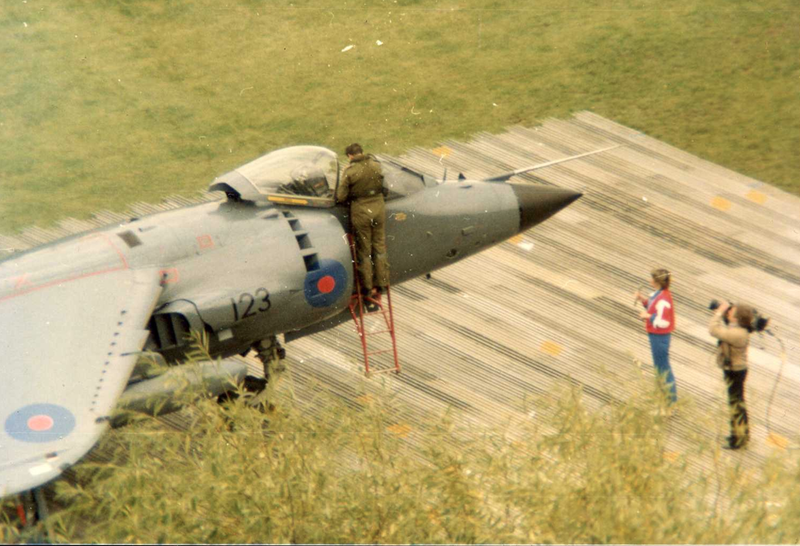 The photos show the landing of a harrier jump jet on a ‘Pebble Mill at One’ programme, produced by John Smith. 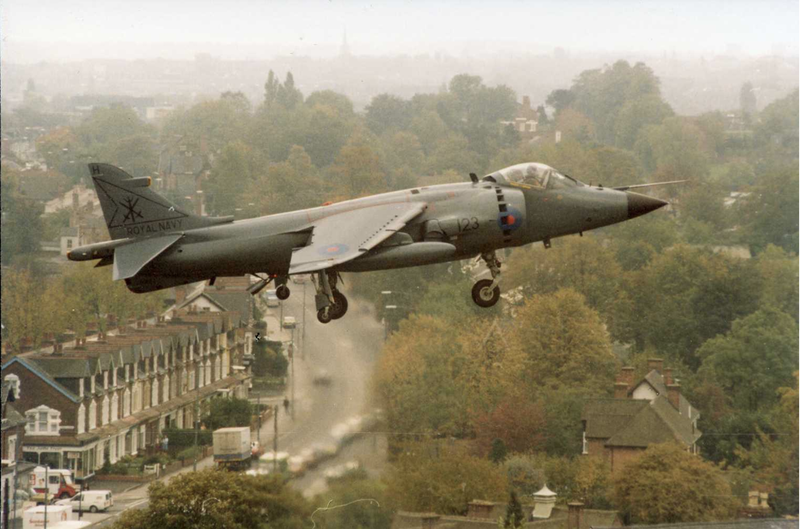 The first photo shows the harrier coming in over the Pershore Road. 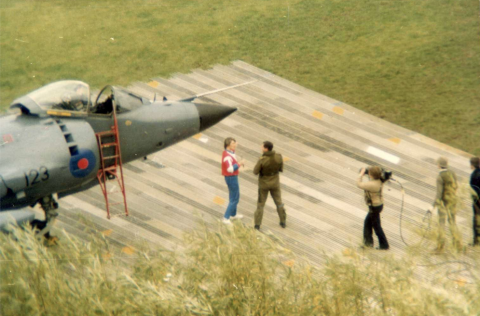 The second shows presenter Marian Foster, and cameraman Keith Brook waiting for the pilot to climb out of the cockpit. The third photo is of the interview itself, and includes Philip Thickett as cable basher.